Join in the untimed, non-competitive run that covers a 100-year-old church and an ancient movie hall. HERE is an opportunity to get your dose of cardio and culture simultaneously. Head to the hills next Sunday and participate in Ootya��s Go Heritage Run that will have you jogging around sites of archaeological significance. With over 1,000 participants expected to turn up on May 29, the run starts from Lawrence School in Lovedale (a worthy choice given the rich history of the 158-year-old institution). The run is one of the many activities conducted by GoUnesco, an initiative supported by UNESCO that was launched in 2012 by Ajay Reddy, a marathoner and travel enthusiast from Hyderabad. Initially a global competition called Travel Challenge a�� where contestants are judged based on photos taken of global heritage sites a�� it is now an umbrella of many other activities, like the Go Heritage Run. The runs are not races and are not timed. They are specifically routed through venues of significance and value so that the runners can take their time walking, taking photos or short breaks. Perfect for families and couples too, they have been attended by almost all and sundry, starting with children as young as three. a�?Since the first run in Hampi in 2014, we have gone to places like Warangal, Udaipur, Badami and Hyderabad,a�? says Reddy, who adds that each run comes with a local element too, like rock climbing in Hampi. The upcoming run in Ooty is categorised into three distances of five, 10 and 15 kilometres each. Of the activities planned as part of the run, Reddy has tea factory tours and cultural performances in mind, but he could not confirm if they would happen. a�?We have partnered with Make Ooty Beautiful, an Ooty-based NGO, to conduct a clean-up near Lovedale. There will also be a heritage walk with one of the locals as a guide,a�? he shares. 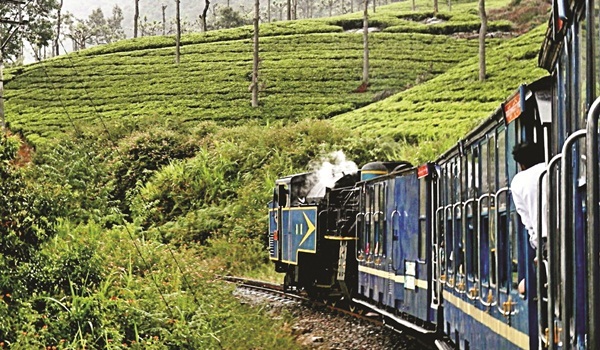 In focus along the run route is the Nilgiris Mountain Railway, an official World Heritage Site, besides which the runners will stop by the schoola��s century-old Ascension Church and the Assembly Rooms which reopened last November. Participants who complete the run get wooden medals featuring a steam engine. What are you waiting for?